Hi. My name is Adanna Ukekwe. I'm American by birth, and Nigerian by blood. Currently a college student majoring in Pre Pharmacy. Tell us about your natural hair journey. For me this is a healthy hair journey instead of a natural hair journey. 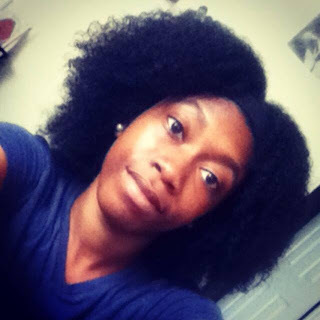 Since I've been natural my whole life, having natural hair is nothing new to me. As a child, my mother would care for my hair biweekly. She would always "thread" my hair and I wore it as a style. Visually, it wasn’t flattering to me, but my mother really knew how to take care of natural hair. I was the one that wanted a relaxer so badly that I became close friends with the flat iron. I didn’t want to be the subject of bullying, but I was hurting myself. It wasn’t until I seen how badly damaged my hair had become that I decided to get a fade which I maintained that for 2 years. 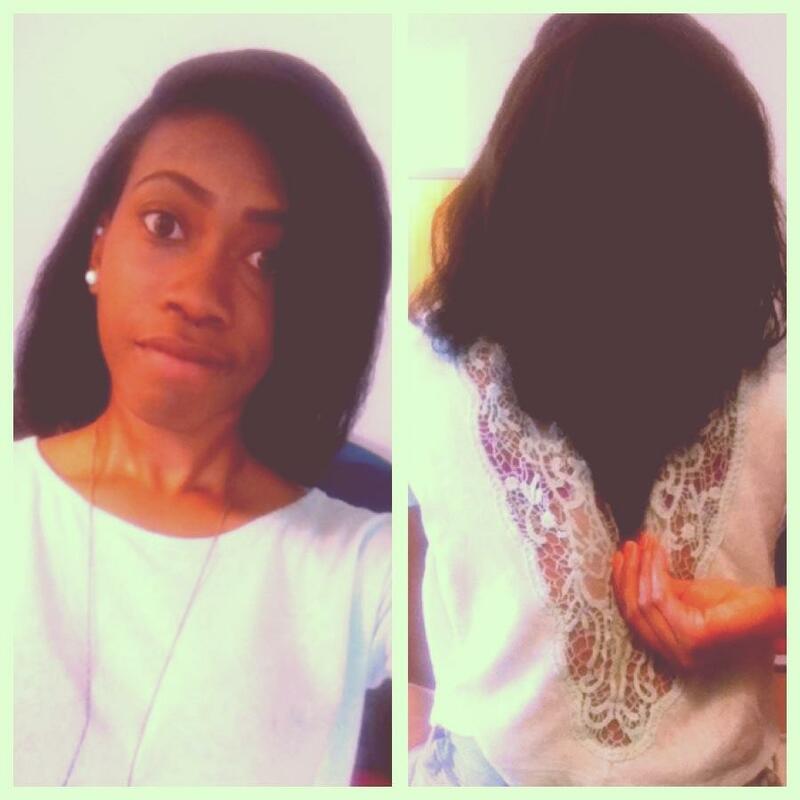 When I finally started my hair growth journey, I was ready experiment and now my hair is mid back length. I’m hoping to reach waist length in a couple of months. Explain to us what African Threading is. African Threading is a method of stretching natural hair without the use of heat. Basically, what you do is wrap the whole length of your hair tightly in thread. The tension really elongates the hair and gives it the look of a blow out. How did being natural lead to bullying at school? Being a natural with a healthy head of hair (it was 15 inches long at the time), people made me feel like my hair could never be up to par unless it was straight and flowing in the wind. They would make fun of me and tell me to straighten it. Sometimes they would mess up my hair and laugh at me. 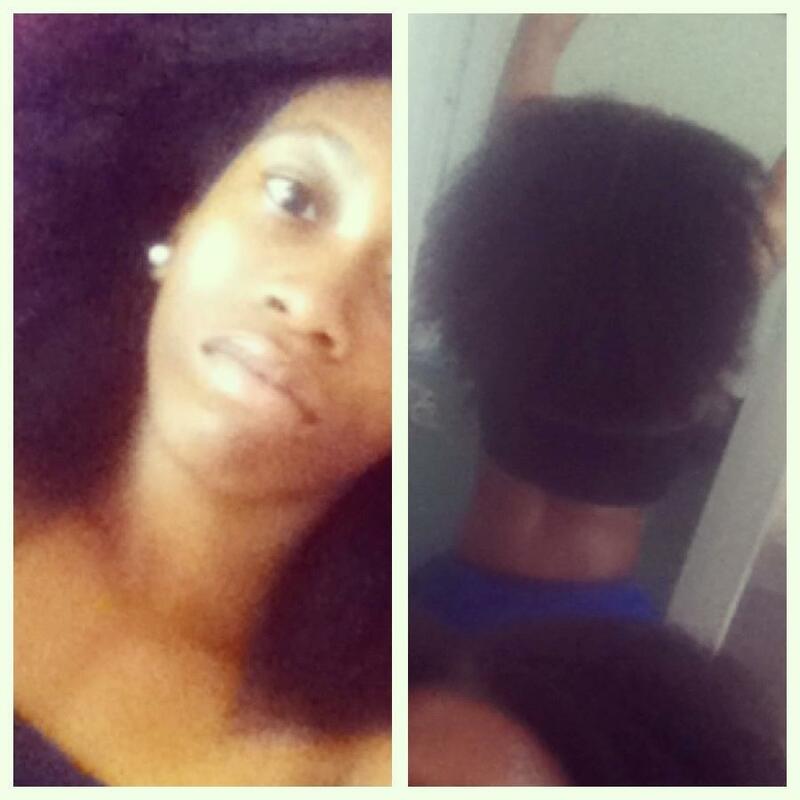 It was a very uncomfortable experience being natural at that age. With the bullying at school, why did you never relax your hair? As much as I really wanted to get my hair permed, my mother would never ever let me get a relaxer until I went to college. She would always tell me that it would "make your hair fall out". I used to flat iron my hair every single morning. The amount of heat I applied to my natural hair resulted in heat damage. I didn’t practice proper precautions such as using a heat protectant, deep conditioning or caring for my hair properly because I wasn’t knowledgeable enough on caring for natural hair. All I wanted was straight hair. Describe the defining moment when you learned to embrace your natural hair. When I got my hair cut, I really fell in love with it; it really brought out my features and I got positive responses from most people. I had my days though. Sometimes I was sad because I missed my hair. All I knew was long hair and having a fade was very new to me. Once my hair started growing back in, I was surprised that it was curly. After all the damage and abuse my hair had suffered, I never knew that I could have defined curls. This was a new journey for me. How did the public react when you started embracing your hair? During my senior year of high school, I just found out about the natural hair community on Youtube and I decided to try a braid out. I went to school the next day and got mixed reactions. Many people loved it, but other people said things like "why'd you cut your hair? ", "you're just trying so hard to be different huh? ", and "eww? you look like you stuck your finger in an electric socket”. 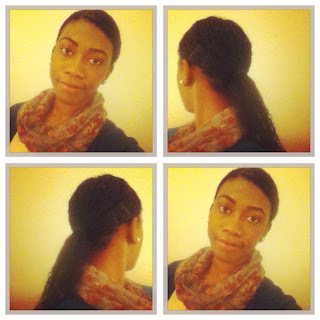 I felt discouraged that I went back to braid extensions. How did the braid extensions make you feel? I'd say it was sort of a "beauty crutch" to me and I swore I'd never walk out the house without extensions. After some months, I felt like I was hiding who I really was. I wanted to wear my hair out again. I cut off the braid extensions and wore a twist out the next day. I barely got any compliments and this guy said "why did you walk out with your hair like that?”. After that, I went back to my braid extensions for about 2 months when I realized I was worried about what others thought when I should be concerned with how I feel. Once I stopped caring about what people thought of me, I became a happier person. I really started to experiment with twists, bantu knots, wash and gos, updos, etc. I gave myself the confidence boost I really needed. From there, people started to appreciate the real me. I now stood out in the crowd. I inspired others to go natural just by trying different hairstyles. By showing them the versatility of natural hair, I helped to change their perception of natural hair as being “bad hair”. What advice would you give to a new natural? My advice is this: love your hair no matter what texture or length it is. Be confident! Never try to gain people's approval for your hair is yours to embrace. If you walk around feeling self conscious, people will pick up on that vibe and treat you that way. Learn to be comfortable in who you are. 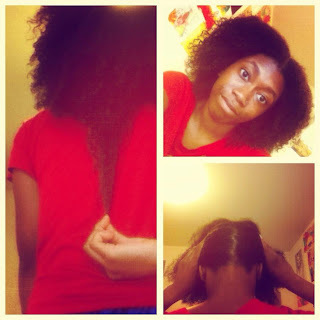 How can we reach you for more advice on natural hair? Thank you for your kind words to Adanna. Natural hair is life changing. Your hair is beautiful! I'm in the process of transitioning myself and hearing the "did you cut your hair?" line after a bantu knot twist out has definitely annoyed me to my wit's end. I look forward to getting comfortable with my natural hair.